British Steel has signed a major order for 120m-long rails with Deutsche Bahn (DB). The deal, of which the financials have not been disclosed, will see British Steel deliver 20,000 tonnes of rail a year to the German national operator. This will last for an initial period of 21 months beginning in March. 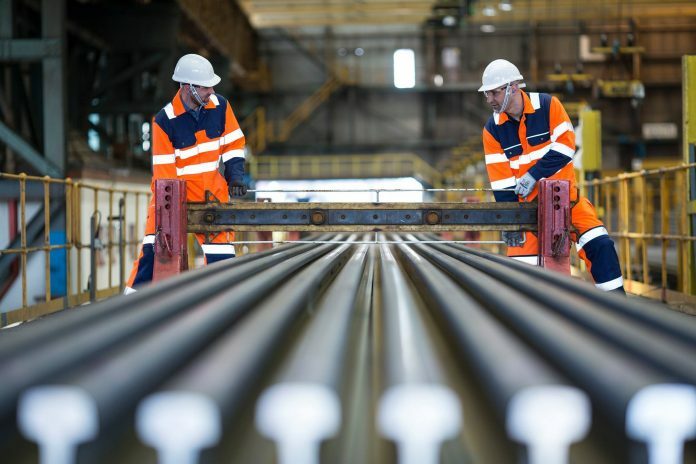 The contract comes after British Steel invested £1 million to enhance its Scunthorpe rail and section mill in the UK so it could manufacture a longer-length rail. Previously the longest rail the company could make was 108m, a standard length in the domestic market, but many European rail markets are based on lengths of between 60 and 120m. British Steel managing director Peter Smith said that, while the company has worked with DB previously, it’s the first contract they have been awarded as British Steel and hopes it is the start of a long-term relationship. Peter Smith said: “Deutsche Bahn is by far the biggest purchaser of rail in Europe. Having a stake in the German market is strategically important to us and we hope to build a strong and lasting relationship with them. He added: “Supplying a new product to a major railway company like Deutsche Bahn is a significant achievement and demonstrates our commitment to product and service innovation. British Steel supplies rail across the globe from its rolling mills in Scunthorpe and Hayange. It has also established a rail logistics hub in Lecco, northern Italy.